This season offers excellent weather and tantalizing mountain views. 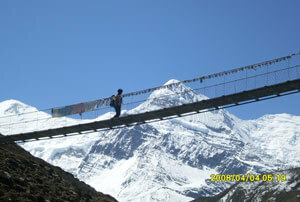 Temperature is moderate, making it a good time for any trekking. The skies are generally clear with outstanding views. Occasionally short storms may dump considerable snow at high altitudes. The winter, there is usually snow fall only at the higher elevations, but risk winds and colder temperatures generally confine trekking to lower elevations. If you are looking for suitable and incredible scenery, this is a great time to Trek in lower elevations. Different varieties of wild flowers, specially the rhododendrons make the hillside above 3000 m. a hunting paradise during this season. It is mildly warm at lower elevations and at higher elevation, over 4000m, the Mountain View are excellent while the temperature is quite moderate. 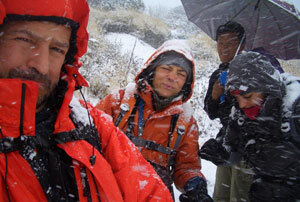 In most areas of Nepal the summer monsoon rainy weather makes trekking conditions unfavorable. However, in some regions bordering Tibet and in Tibet itself, the arid climate makes summer trekking a great alternative. 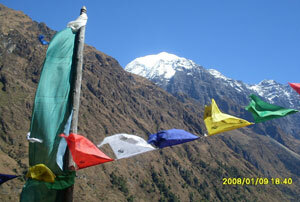 The Mustang region lies in the rain shadow of the Himalayas, protected from most of the monsoon rains. 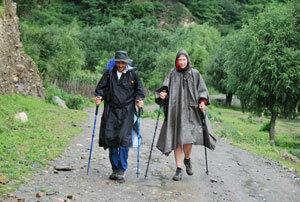 Likewise, Tibet's high arid plateaus are ideal for summer trekking. The Annapurna region in north-central Nepal also receives significantly less rain than other parts of the country during the summer months and low-altitude, short treks in this region are recommended.